Can pregnant women fly? Taking a cruise while pregnant a good idea? 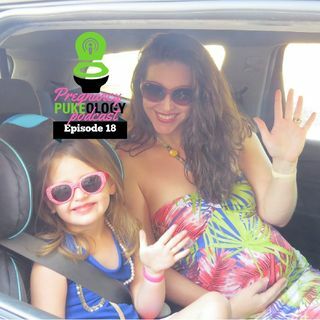 If you’re planning on traveling for this holiday season either flying, driving or cruising you need to know which companies will allow you to according to how far along you are, so then our Pregnancy Pukeology Podcast Episode 18, Traveling While Pregnant is perfect for you! Dr. PukeNoMo answers why flying after 36 weeks is considered dangerous, why cruiselines won’t let you on after 6 months, and why long road trips just aren’t ... See More wise pregnant. But I have some helpful hints to make your travel plans a success regardless if you’re traveling by land, sea, or by air. I’ve even listed all airlines pregnancy policy & cruiselines pregnancy rules. This podcast is perfect for all women who are pregnant or thinking about getting pregnant and want answers for the best information about pregnancy that there is to date. Think of Pregnancy Pukeology Podcast as your answer to all things pregnant as told to you by your best friend who happens to be a doctor. And our podcast wouldn’t be complete without a few pregnancy puke stories that will give you the comical relief you need with tips to stop the up- chuckle. Comedy + Science + Edutainment = Pregnancy Pukeology Podcasts Episode 18!